As part of our Intellectual Property practice, BartkoZankel patent litigators routinely represent both plaintiffs and defendants in trial courts throughout the United States. The key to patent litigation is often not just understanding litigation tactics. Success also depends upon mastering the technology and the ability to explain complex technologies to judges and juries in a clear and persuasive manner. 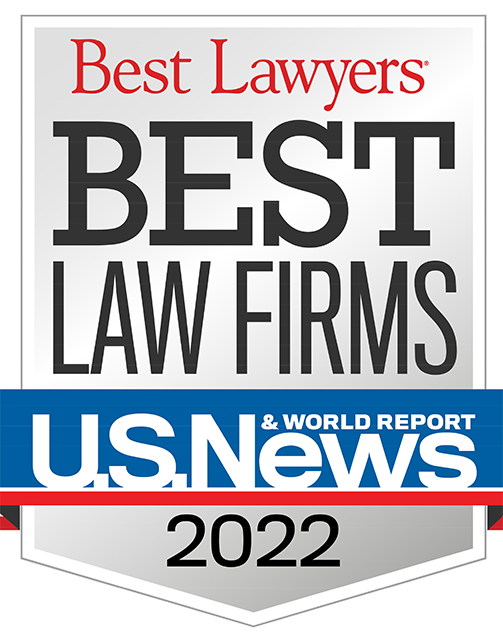 BartkoZankel litigators have handled matters in a broad array of technologies including mechanical devices, software, biotech, business methods, and computer equipment. Some of our patent litigators have technical backgrounds and are admitted to practice before the Patent Office. Others have backgrounds as educators. Unlike classic big firm “litigators,” all of our patent litigators have experience trying cases to verdict. Together, we are able to analyze the critical technical issues, develop an effective litigation strategy and present winning arguments to judges and juries. With these skills, BartkoZankel patent litigators have secured victory at trial, succeeded in dispositive motion practice and achieved favorable settlements. As part of a mid-sized litigation practice, BartkoZankel attorneys are able to scale up or down to handle both large “bet the business” cases as well as smaller cases. The lack of big-firm overhead means that BartkoZankel can be cost effective for smaller cases, especially when working with multiple defendants. We understand that cost matters and not all cases should be litigated without limits. 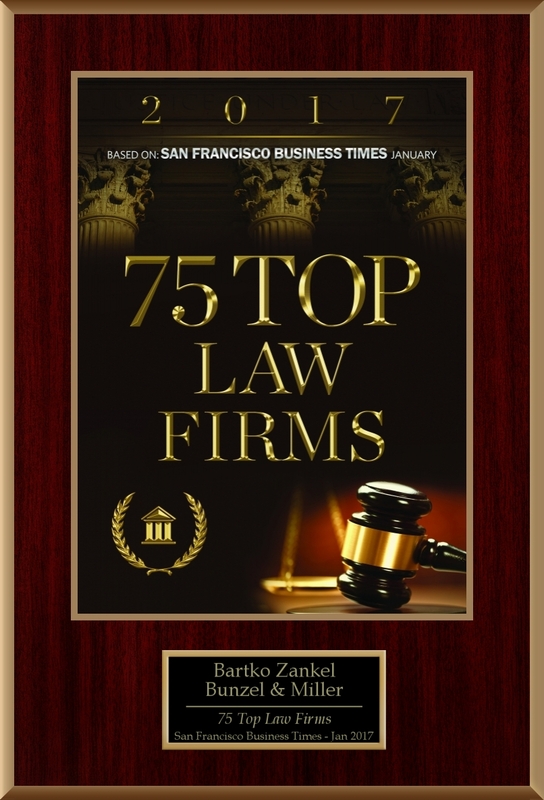 At the same time, BartkoZankel attorneys have gone toe-to-toe, and prevailed, against some of the largest law firms in the country. Although BartkoZankel is willing and able to take a case to trial to best protect our client’s interest, we understand that sometimes settlement is the prudent way to resolve a dispute. The Firm has an extensive alternative dispute resolution practice. Several of the Firm’s lawyers are court-approved mediators. We bring this expertise to the table, along with experience licensing intellectual property, to help clients obtain the best possible resolutions. Also, in conjunction with our litigation practice, BartkoZankel attorneys have vital experience handling Federal Circuit appeals. Our goal is not just to achieve victory for our clients; we consistently preserve those results on appeal. (ND Ga). Representing defendants in patent case regarding cases for mobile phones. Natera, Inc. v. Sequenom, Inc.
(ND Cal, Fed Cir). Represented declaratory judgment plaintiff asserting that patent-in-suit relating to non-invasive, prenatal genetic testing is not valid and not infringed. Obtained summary judgment of invalidity under 35 U.S.C. § 101 on grounds that asserted claims are not directed to patentable subject matter. Unanimously affirmed on appeal by the Federal Circuit in 788 F.3d 1371 (Fed. Cir. 2015). Klaustech, Inc. v. Admob, Inc.
(ND Cal). Co-counsel representing plaintiff in patent infringement case concerning delivery and display of internet advertisements. Chrimar Holding Co., LLC v. Alcatel-Lucent Enterprise USA, Inc., et al. (ED Tex). Represented defendants in patent case regarding Power-over-Ethernet (PoE) technology. Obtained favorable verdict after jury trial for one defendant and favorable settlements on eve of trial for other defendants. Netlist, Inc. v. Diablo Technologies, Inc.
and related cases (ND Cal). Representing designer of server memory modules in multiple patent case. Patent issues are currently stayed pending inter partes review. Genetic Technologies Limited v. Natera, Inc.
(D Del). Defended genetic testing company against claims of patent infringement by non-practicing entity. After obtaining transfer to the Northern District of California, the plaintiff dismissed all claims in a “walk away” agreement without payment of any damages. (ND Ill). Represented defendants in patent case regarding cases for mobile phones. Defeated motion for temporary restraining order and preliminary injunction, and then reached a favorable settlement early in the case. (ND Cal). Defended ViaCyte against Section 146 appeal of unsuccessful interference action based on PTO Board of Appeal’s finding of lack of enablement. Xilinx, Inc. v. Papst Licensing GMBH & Co.; Altera Corporation v. Papst Licensing GMBH & Co.
(ND Cal). Co-counsel representing German defendant in declaratory judgment actions regarding patent invalidity and non-infringement. Antennatech, LLC v. Jamba, Inc.
(D Del). Represented juice drink provider in patent dispute with non-practicing entity that was successfully resolved prior to any significant litigation. IPVX Patent Holdings, Inc. v. 8x8, Inc.
(ND Cal). Co-counsel for 8x8 in patent case involving telephone answering service linking displayed data with recorded audio message. Advised client developing new product on potential issues arising from patents relating to beverage preparation machines. Nichia Corp. v. Everlight Electronics Co. Ltd.
(ED Tex). Successfully represented leading LED package manufacturer in bench trial and appeal. Obtained favorable verdict and judgment awarding no injunction or damages. AntiCancer, Inc. v. Carestream Health, Inc.
(SD Cal). Defended medical equipment company against claims of infringement of patents concerning use of cancer cells transformed to express green fluorescing proteins. The case settled favorably after partial summary judgment of non-infringement was granted in favor of client. Duhn Oil Tool, Inc. v. Cooper Cameron Corp.
(ED Cal). Represented plaintiff in patent infringement trial related to oil and natural gas drilling equipment for “fracking.” At trial, the jury awarded client nearly $10,000,000 in damages. The case settled while on appeal. International Printer Corp. v. Brother International Corp., et al. (ED Tex). Defended producer of imaging and printing equipment in patent infringement suit in the Eastern District of Texas regarding systems and methods for monitoring and controlling copy machines. (SD Cal). Represented leading imaging company in two separate patent infringement suits regarding picture archiving and communications systems (PACS) for medical images such as MRI and CT scans. (ND Cal). Represented Sun in connection with patent, trade secret, contract and interference claims brought against former employees concerning JAVA-based software and hardware for parallel chip computing. (WD Tex). Successfully defended provider of dental image management software against claims of patent infringement. (MDL, Mass, ND Cal). Represented major biotechnology company in high-profile, multi-district litigation regarding validity of basic DNA technology patent for co-transformation of cells. The litigation was resolved favorably when the patent holder entered into a covenant not to sue and terminated its infringement claims. (ND Cal). Represented Tegic in trial including claims of infringement of multiple patents for cell phone text input. Successfully handled post-trial briefing sustaining a jury award of over $8,000,000 in Tegic’s favor. Webgain, Inc. v. Borland Software Corp.
(ND Cal). Represented Borland in dispute concerning patents for software development environments. The case settled favorably during claim construction. Hoffer v. Microsoft Corp., et al. (ND Cal and Fed Cir); Hoffer v. International Business Machines Corp.
(SD Cal, ND Cal and 9th Cir). Defended a leading computer company in patent litigation concerning internet databases. Obtained summary judgment of non-infringement, affirmed in Hoffer v. Microsoft Corp., International Business Machines Corp. and Ariba, Inc., 405 F. 3d. 1326 (Fed Cir 2005). Successfully obtained dismissal of claims in a related trade secret and business torts case also affirmed on appeal.